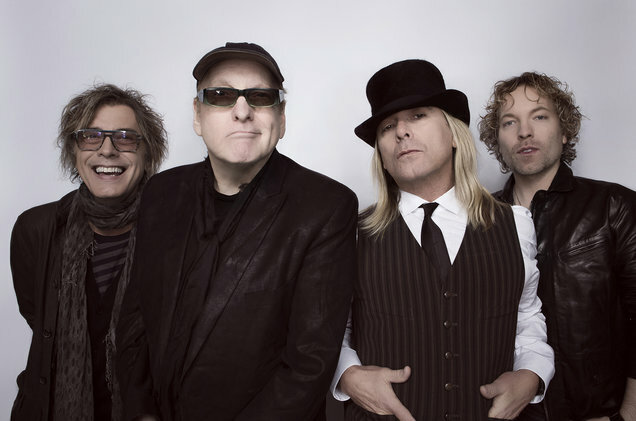 Cheap Trick will release their first holiday-themed album, “Christmas Christmas”, on October 20. Produced by the band and Julian Raymond (Glen Campbell, Fastball), the project delivers updated versions of Christmas tunes recorded by rockers like The Kinks, The Ramones, Slade and Chuck Berry, among others. The set also includes three new songs by Cheap Trick, including “Merry Christmas Darlings”, "Our Father Of Life" and the title track. The Christmas album release news follows comments by bassist Tom Petersson this past July, when he revealed the group’s plans for the holiday package. “We’ve actually just finished recording a Christmas record about two months ago,” said Petersson. “The Christmas record will be released around Halloween, and it came out great! We did one standard, and then all sorts of different songs on there, it’s really cool. “We’ve got a few originals, and we covered songs from artists that we really like which have done Christmas songs we think are really cool, you know, Roy Wood and that sort of thing. The project follows the Rockford, IL band’s latest album, “We’re All Alright”, which was issued in June. Cheap Trick are currently playing a series of Canadian dates with Nickelback and will return to live action next month for more US dates in support of the “Christmas Christmas” album.